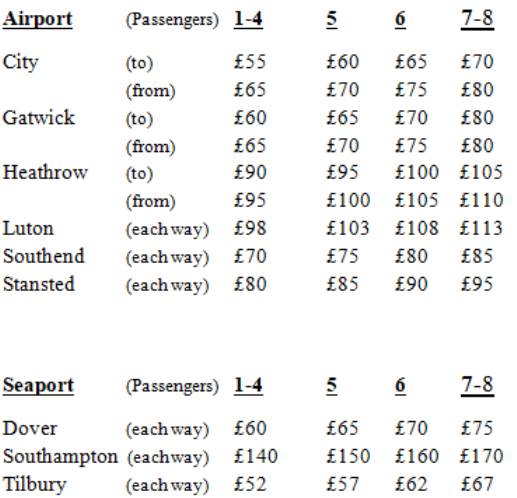 -- Prices listed are for one pick-up and one drop-off from within the Medway towns. Subsequent pick-ups and drop-offs may attract a small additional charge. -- All prices are inclusive of car parking charges and toll fees.